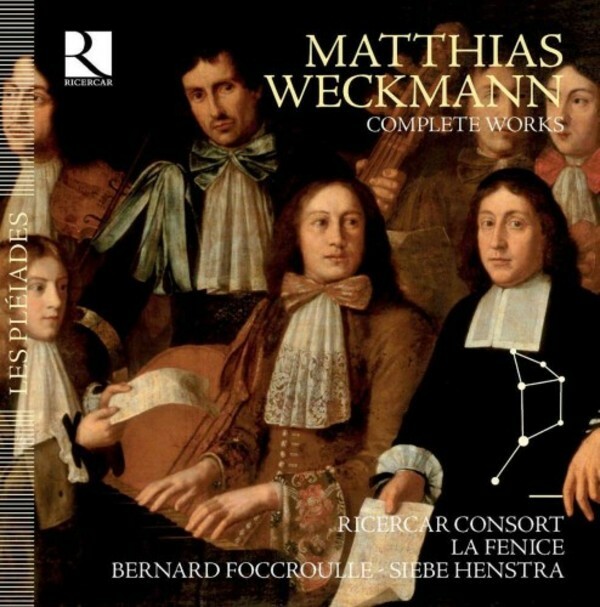 Matthias Weckmann is doubtless the most fascinating Hamburg composer of the mid-17th century. A disciple of Schütz, nurtured on Italian music and, in particular, that of Claudio Monteverdi, he shone in all genres, achieving an impressive blending of these two worlds. His concerts spirituels are characterised by the important role they give to the instruments, veritable accomplices of the singers. His sonatas espouse the Venetian models with their original instrumentation uniting violin, cornett, trombone and bassoon. His organ music constitutes the veritable transition between the generations of Sweelinck and Buxtehude. And in his harpsichord pieces, he also tries his hand at the French suite style. Over the years, Ricercar has recorded his complete works, and the year of the 400th anniversary of his birth imposed itself for bringing together the first complete release of these recordings.